Whatever inhuman acts and events that have been happening in the past so many years, the recently aggravated violence in the form of mass destruction, ghastly killings of innocent people by various radical outfits, political unrest all over the globe are absolutely against the nonnegotiable values of humanity. It is a sign of degeneration and waning human values of tolerance, compassion, sympathy and kindness, lack of motivation of political will at the governance level by the people in power. Violence in our current society is on the rise because of their apathy, selfish motives, lack of understanding of the growing of menace and dangers of terrorism. It will not be an exaggeration to state here that violence has grown and is spreading more specifically because of lack of goodwill at every level of human society as well. We, as sensitive human beings must not forget that if we douse and set a house on fire in our neighborhood, are our backyards safe? We are one world, one planet and one family. Must we not remember this that unless we make our family happy we can never have a peaceful life for ourselves? And whenever there is an increase in anti God activities in our environment or somewhere on our earth, we must spend more time and attention in remembering the omnipresent, merciful, blissful God. Worship God as Jyot or Light more on such ominous occasions, wish for peace in your hearts and bring down peace on earth by meditating on white Light of God. Think as though white light from heaven is dispersing and filtering over our mother earth. Visualize mother earth as a white pyramid of crystal of light and meditate under the crystal of beatific pure Cosmic Light of God. Dear friends and responsible citizens of this world, please know these are not my words, views or opinion but the message of His Holiness Sri Mahavatar Babaji. He is a messenger of God to spread love, peace and compassion. It pains and saddens him and he is doused with grief and sorrow when we make our lives deplorable and miserable by our own wretched acts of violence and inhuman acts. To understand his philosophy and teachings, we must first of all get our own perspectives right. He has explained to us in detail here that we ought to understand and reflect as to how and why is our society degenerating so swiftly and what are our responsibilities in its reformation, revival and regeneration. It is advisable that we take some immediate positive and constructive steps in big or small measure towards realizing our goals of achieving oneness of god and unity amongst ourselves as a world family. Definition of Mahavatar –Maha means great, avatar means the descent of divinity into flesh. In simple terms, this means the great ascent of Godliness and holiness in a being. But much greater than all this is the spiritual stature of Babaji, much, much beyond the understanding of limiting barriers of an average mind. His accomplishments are rare and impossible to comprehend for us because he has transcended all human limitations and boundaries. Babaji in Hindi simply means revered Father. For affection and convenience, we can address Him only as Babaji, although He is addressed by many other names by his devotees all over the world now. Revered Babaji leads a life of a recluse and shuns public gaze because He meditates most of the time in the Himalayas with His band of trusted disciples. In between they discuss matters of the world which are of profound concern; they need to be addressed on time, particularly pertaining to the preservation of our planet and its inhabitants. During meditation, He addresses mentally the predicaments, worries and questions related to the spiritual growth and foundation of the devotees as well as of any other people which He answers through the medium of telepathic transmission and diffusion of light. He also does spiritual atonement from time to time so that the benefits of His tapas can be transferred and transmitted in all direction in order to maintain and regulate order, harmony and peace in this world. And in addition to all this, he prays and meditates for the spiritual evolution of human race as a whole, although the pace of human evolution is remarkably slow. Nonetheless, it is one of His major responsibilities that Heonce undertook from Father Divine when He was a young lad of fourteen, the tender age at which He took saurabh samadhi at Badrinarayan. His disciples, who are with him, assist him and give Him a helping hand in his enormous and unfathomable endeavor of world reformation in spite of concurring cyclic ages of major changes. The many disciples who are away from Him physically also work as channels of His world wide mission for man’s progress and those who are now in the astral world also contribute by sending out positive waves of mind thoughts to our earth for spiritual reinforcement!! He is undergoing tapas for one more significant reason today. His very intense tapasya or atonement is also for the unforgivable, intolerable sins of those people who for the sake of terrorism and political upheavals, violate God’s natural laws and propagate violence, hatred, unrest and undertake innocent killings. In the past, like Him were born other prophets like Jesus Christ, Lord Rama or Mohammed and Guru Nanak who took on the sins of the sinners for their redemption and atonement. It is the wish of God that no impure or sinner should interact with Babaji or see Him personally as He is unimaginably sanctimonious and pure and the chaste and holy saints have to suffer unduly. Babaji attributes his solitary nature to this fact- He prefers silence and peace of the quiet mountains in contrast to the noise of the maddening city lives!! There are 2 types of forces in this world-constructive and destructive, positive and negative respectively since eternity. They have been there since the earth was created. When the equilibrium of both these forces is disturbed because of man’s misdeeds or ignorance there are natural calamities, disasters, misfortune, tragedies. Evil and immoral acts by humans like corruption, selfishness, greed, lust for power and money give rise to regression, anarchy, disorder, turmoil and mayhem. Cut throat competition exists today among men and between countries and societies for the sake of dominance as well as superiority, status symbol and power. Once the country becomes powerful, the ruling people of those countries exploit other nations to maintain the achieved material prosperity and affluence. Competition is good as long as it is healthy and done with the right spirit and sole intention to excel and not to finish or demolish others. One country prevents and stops other countries from progressing which is against ethics and universal laws. Destroying others is animal instinct for survival. Survival instincts can only be gotten rid of if we discover our real identity. The true nature of man is divine- love, peace, hope, amity, mercy, friendship, compassion are his attributes. So love all, do not hate is his message. This post is neither politically motivated nor is it a political comment but as humans where we share the same planet, same resources our lives are without doubt interlinked as we come from the same God. We, as responsible and conscientious citizens of our planet must make a pledge now to replace hatred with peace, jealousy with love, frustration with satisfaction, rebellion with obedience, rivalry with companionship and violence with mutual understanding and goodwill for the sake of ourselves and the generations to come. Our earth is established and rests on eternal laws of humanity or Sanatan Dharma. Babaji believes that Sanatan Dharma in unchangeable and is forever suitable in every society or nation at any given time or age. It can be followed by anyone and needs no formal initiation. 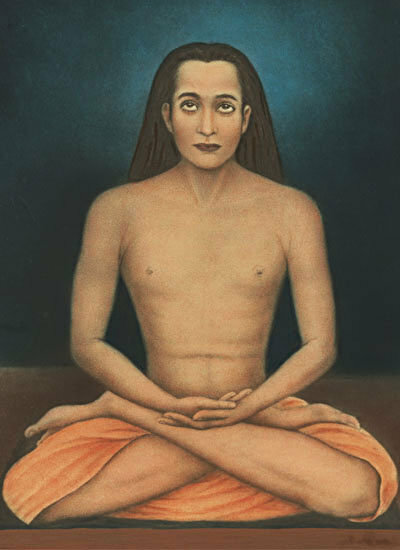 Because of attaining incredible yogic powers, Babaji is approximately 1,800 years old now. (those who have just come in, please read-The light of the world-Shri Mahavatar Babaji-I) He is alarmed regarding the erosion of human values at a frightening pace in the last two centuries. Sanatan in Sanskrit means eternal Dharma means righteousness. Sanatan Dharma means eternal Truth, teachings and traditions. The eternal truth is also about Universal principles that make up the spiritual lifestyle that helps us to uncover the Divine that flows through all things. Dharma has a profound meaning. It means as one’s own duties in individual sense and globally it means the universal law by which we are bound together. Dharma means something that should be borne all the time. Thus it becomes a powerful means that saves us from catastrophe and leads to all round development and prosperity. Sanatan Dharma is considered to be the oldest religion, no one knows how old and there is no known founder. Sanatan Dharma has given birth to other main religions – Hinduism, Buddhism, Sikhism, Jainism and some other offshoots. Every religion is based on underlying same principles- that of oneness of God, non violence, charity, love, kindness and being good human beings. They all speak and propagate the same principles. Vedas are the original scriptures of Sanatan Dharma. Bhagwat Geeta complied by rishi Ved Vyas has the essence of all the Vedas. Bhagwan Krishna laid great stress on performing the right actions so that the consequences are positive in the form of peace, prosperity and harmony everywhere. Today’s society runs on competition, consumerism and capitalism, the three evils of our modern society. Moderation is the key word. Life should be comfortable, there should be no deficiencies of essentials but blind rat race of materialism, hoarding, power struggle, status symbol is a sign of ruination which is tearing apart the very fabric of our once peaceful co-habitive society. If we continuously violate the laws of- nature, morality, society, religions and spirituality it is going to prove detrimental as the consequences are grave. This is Kaliyug, the age of machines. Vedic texts have prophesied the following ill signs of Kaliyug. They are as following-rampant decline in morality and absence of conscience, restlessness of mind, man will not hesitate to kill his own blood even brother for maya i.e. land, woman, money or power; downfall of woman’s chastity and fidelity, dishonest and deceitful males, rise in adultery, decline and corruption of intellect and intensifying of sensual pleasures and lust, drastic decline in numbers of trees, birds animals, shrinking of mountains and rivers, extension of oceans and inward bound seas and oceans, excess and intolerable heat and cold and untimely premature deaths. Isn’t this what we call global warming and climate change today? Kaliyug is man created, his own creation for greed, to satisfy materialistic urges and exploitation as well as mismanagement of natural resources. We have to turn the wheel from Kaliyug to Sat yug– an era of truth, peace, order and humanitarianism by inculcating tolerance, forebearance and cooperation for preservation and survival of humanity’s sake. Babaji advocates practice of Yoga propounded by sage Patanjali, the author of Yoga sutra. Yoga is above all religions and can be practiced along with any other religions that we follow or have faith in. It is Mahavatr Babaji who revived Kriya Yoga in modern world through Lahiri Mahasaya, the lost science of God union as mentioned in Bhagwat Geeta. Kriya Yoga accelerates spiritual evolution of man and can be practiced in spite of any belief or faith of the practitioner. Babaji has vowed that until the augmentation of satyug, he will retain his indestructible body to carry out the divine’s work. The various cycles on our earth may come and go but the eternal principles of Sanatan Dharma will never cease to change. Mahavatar Babaji will come out open in public in World congress of religions meet around the year 2053 or so if everything goes right. He wishes that His centuries old mission of spiritual evolution and progress of the human race will be completed by then with the grace of God. We all have a role to play in bringing about a new age by becoming the harbingers of the Dawn, dawn of Truth, peace, sincerity, willingness and earnest desire to make our earth a better place to live in. Babaji is Smritgaami. Smrit means to remember and gaami means to come which when translated means that whenever you remember or think of Babaji, He will respond to your calls. So meditate on Monday nights between 9 to 10. Fix your gaze on Babaji’s visual image at Kutastha, the point between the two eyebrows and think of Him, pray to Him and talk to Him like a child to his father. Take his refuge, he will free you from many unbearable sufferings. He will mitigate your worldly and spiritual problems and will guide you in every way. This sansara , the world is a booby trap and we do not know how to navigate the deep seas. If you take his shelter you will be under his tutelage, protection and guidance, no harm will come over you and you will be able to overcome all problems however big or small. Babaji is our oarsman, He will navigate for us and sail our boat in this bewildering, unpredictable world. Kundalini Shakti is the procreation energy lying unused at the lower region of the body for very long. People who follow Tantra Yoga are those people who worship the feminine form of the Universal Force. They perceive the Universe as feminine energy and wish to have atma sakshat or God realization by arousing and stirring up Kundalini Shakti in them. The various forms or depiction of Kundalini Shakti in Indian mythology are of Goddess Durga, Kali, Bhuvaneshwari, Bhairavi and a few others. They all are various images and forms of Divine Mother with different powers attained for different purposes in this universe. Ultimately all the devotees of Divine Mother have one goal whether they are aware of it or not- to realize God by worshiping the eternal Primary Force as feminine. In our body, we have 3 main nadis or life currents-Ida, Pingala and Sushmna. In most of the persons at the normal level of consciousness, the energy currents pass through only two channels Ida and Pingala. The central Sushumna is dormant. Ida lies to the left side and has warm currents and is compared to the Sun, while Pingala is located to the right and compared to the Moon and has cool currents passing through it. Sushumna is situated in the centre of both these nadis. It remains dormant and cannot be accessed without proper activation and expert supervision. It plays a crucial role for the sadhak at an advanced stage of spiritual intensification and expansion.Activation of Sushumna is mandatory for higher realizations. If one takes a peep inside our spine, it will show that it is a hollow tube and is like a conduit pipe in which are located multitude of nerves or nadis and nerve ends. The fact is that out of these three nadis majority of people function on only the two nerve channels-ida and pingala as there is no current in the middle nadi and one may wonder why. Sushuma is a special nerve used for carrying very fine currents of electromagnetic rays from higher levels of Consciousness. Once this is aroused, the man is capable of approaching and accessing very high levels of knowledge and subtle comprehension as well as divine perceptions. Kundalini Shakti is often compared to a serpent with three and half coils. It is believed so for the simple reason that Sushumna is coiled at the base, at the tip of the tail bone lying floppy and curled. To demystify the myth, please know that it is coiled and curly just because it has no current passing through it and is in disuse for so long as has been explained in detail in the text of previous post. One activated it is straightened up. At muladhar chakra lie the remnant energies of present and past life incarnations which block the Kundalini Shakti. The dust like energies which are in many layers cover the Sushumna. But when the soul begins to redeem itself through purification by doing good karmas, silence, peace, meditation, pranayam, saatvik food, his mind and heart becomes dirt-free. Dust of ego, vanity, desires, greed and similar vices begin to fade away as he undergoes intense tapas. At this juncture, the Guru wherever he is, through his prakash punj or blazing light sends his disciple shakti through his sankalpa (mind power) which we call shakti paat. This is transmission of rays of Divine light through mind power. That light enters and penetrates our navel and whatever unmanifested seeds of karmas are still remaining in the muladhar are now disintegrated and burnt by the guru. The specific action consequently reduces our karmic suffering in the future to come by eliminating difficult life situations in the form of diseases, lack of prosperity, physical sufferings, bad luck and mental turbulence and so on. As the Light from the Guru arrives at the navel area, the dormant Sushumna begins to throb. That’s why people may find tingling sensations at the base on arousal of Kundalini Shakti. The Shakti after stirring up muladhar chakra, rotates and spins spirally inside the spinal cord cleaning the conduit pipe. The vortexes or energy chakras get cleaned up of the lying of unwanted elements of toxins and debris of future karmic consequences as the shakti rises up. The risen supposed serpent or Kundalini cleans the lower chakras and when it rushes and reaches the agya chakra, the blazing light intensifies our vision by giving us clarity of thoughts and finer perceptions. With this light are awakened many other micro nadis which help us to cultivate and open of the third eye, Shiva’s third eye providing paranormal vision and sixth sense. Thus an apparatus and a medium are created through which we can now connect directly to the Cosmic Consciousness without effort. The third eye is the door to heaven because communication with the Almighty is possible through intuition, a faculty in humans which can never mislead or misguide us. Meditation aids in further fine tuning with the voice of God. Intuition or the sixth sense is extremely essential for humans because there is no possibility of erring and suffering as the Voice of God will always tell you to do actions which are in welfare of all. The silent and extremely gentle shakti further moves up from agya chakra to the upper portions of the body reaching the cerebrum or sahasrar chakra to act on it. The crown chakra is the centre of God realization and divine illumination. The whole process takes a few weeks or months or years or lives depending on each individual’s positive force of good karmas and is not an instant phenomenon as made out to be by some unthinking people. As explained earlier, smriti is a very important factor and tool in God realization. In smriti lies embedded all the memories of past life incarnations that we have ever lived since our inception. With activation of Kundalini, we are able to see some important phases and landmarks of a few past and future lives. In this way, God helps us to relive our past lives by being so compassionate and understanding. Alongside with the activation and glimpse of our previous lives, are also washed the pain, sorrow, separation from beloveds, remorse, grief and trauma of sad incidents and other life altering experiences. The remembrance of good memories and happy incidents give us hope and joy. A new wave of creative powers is inducted whereby one sees unexpected talents, gifts and special abilities in himself because of this shakti. Subsequent to this, another portion of the smriti is opened up in due course after past lives’ regression. And that is the memory or smriti of God as Light that was experienced at our inception and forgotten for such a very long spell. The kind Guru gives us an experience of face to face with God represented as blazing Light. And in that radiating light are burnt all the possibilities of ever erring in future and an end to all our troubles and entrapment of directionless re-incarnations!! Once the smriti, the memory of oneness with Divinity is revived, we experience bliss of exceedingly sweet nature unknown so far to us. The nectar of bliss cannot be compared with anything of this fleeting world because of anshik or imperfect happiness in this imperfect world! And God is perfect happiness. And thus at last, comes to an end our long yatra or journey which had started off way back in time and space over millions of years. The tormented soul is liberated at last to bathe in bliss and peace!! What is not Kundalini Shakti ? It is not sexual energy. It should also not be used for sexual activities to empower oneself unethically. In fact it is procreation energy which helps us to evolve and advance faster in spiritual unfolding. It is not a serpent. Serpent is only a comparison, a metaphor to understand the concept. God allowed only graphic interpretation so far hence we have so many types of illustrations of Goddess Shakti and yantra and chakras. The serpent is not coiled. In fact the Sushumna nadi is coiled at the base because of deactivation. Sushumna and the other nerves at the head are in a cluster and look like a hood of a snake with its tail at the end of the spine. Hence it is said that the serpent is coiled three and a half times at the base. Once the shakti is revived, the emergence of extra-ordinary abilities and skills are not possessed at random by the recipient. They are the abilities which we had acquired in our past lives and are stored in the memory and re-emerged as the electric currents passed through the brain. But further acquiring of more genius qualities is possible only with our continuous efforts of today. Tantra is a holy ancient science of revival powers. People mishandle and misapply it and use it in place of black magic, sorcery, voodoo, and other sciences of natural forces. Beware of those people who misguide you in the garb of religion, yoga or spirituality. Meaning: O Mother! You are the personification of all that is auspicious. You are the benevolent form of Lord Shiva. You bestow Divine energy and help people achieve righteousness, wealth, fulfill desires and liberation. You are worthy of being surrendered to. Three eyes adorn you O Devi! O Narayani Devi I pay obeisance to you! Sri Badrinath temple, sometimes even called Badrinarayan temple, is situated along Alaknanda river and is nestled between two high mountains Nar and Narayan in the Himalayas. I have visited Sri Badrinath temple many times, the last time about six months ago. It is a temple dedicated to Lord Vishnu and there are also other accompanying deities residing there. It is the only temple where the idol of Lord Vishnu is depicted in a sitting position in a meditative pose, the lotus posture. And those of you who have also had the privilege of seeing this temple must have noticed that the exterior structural design of this ancient temple, which is mentioned even in the ancient Vedas is of surprisingly Buddhist architecture. Its architecture, a brightly painted facade typical of Buddhists resembles a Buddhist vihara. Adi Shankaracharya, the great saint and philosopher of 8th century re-instated and re-installed the self manifested black granite stone idol of Lord Vishnu about 1,200 years ago. He recovered the idol by diving in the waters of the fast flowing river Alaknanda. The idol was thrown in the water by some miscreants and Buddhist tantriks. Tantriks are perverts. They mislead people for their own interests. Adi Shankaracharya reorganized the whole system according to Vedic rites and systems after sanctifying the precinct. The present temple has also been renovated and re-constructed a number of times damaged by earthquakes, landslides and avalanches by the ruling kings after Adi Shankaracharya. 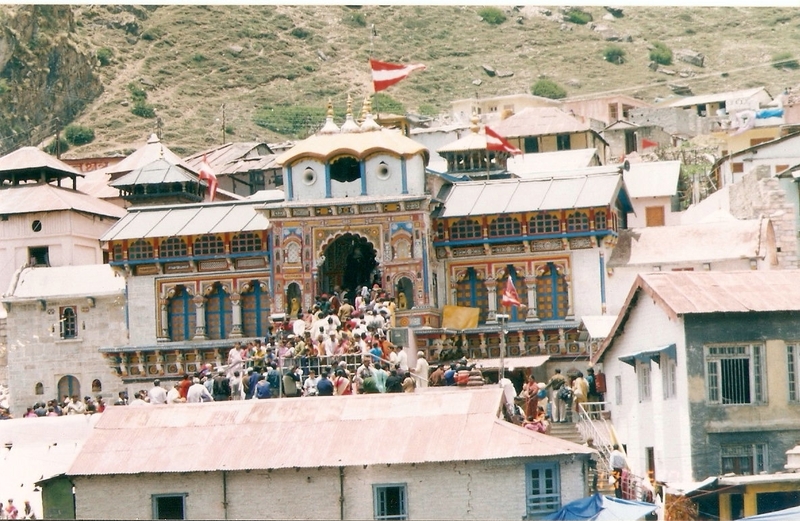 Badrinath temple is a shakti sthala, a powerful site. Scores of devotees visit this temple in the season, almost all of them come to ask for something and wish to satisfy their all possible desires. Many years back in the past, this powerfully spiritual and holy site was raided, despoiled and defiled by the Buddhist tantriks who looted it and converted it into a Buddhist monastery. The locals there have many stories to tell you how some nearby villages are now re-named after Chinese names today proving that indeed intrusion took place some years ago. Misuse of Tantra Practices The Buddhist tantriks from Tibet infiltrated into India from across the border stealthily through the mountainous passes and forcefully took charge of the temple from the Hindu priests at that time. They did this horrific act so that they could become powerful and attain siddhis, supernatural powers by performing specific secretive practices in a dynamic spiritually powerful site. They also took away many ancient manuscripts with them. Since time immemorial, tantra powers have been misused by so many unscrupulous people. They try to acquire these natural forces to satisfy personal desires and wants, satisfy lust and passions and also to fulfill similar desires of their disciples and followers. Such people do not understand the temporary nature of desire and that all desires and passions are passing and impermanent in nature, yet they claim themselves to be knowledgeable and become gurus. About Tantra Yoga Tantra in Sanskrit means tantu or the smallest element. The other meaning of Tantra is taar or wire. It means transmission through mental connections. It is arousal of dormant feminine energies in a practitioner to enhance his or her yogic powers to reach upper most domains of astral world. Tantra Yoga was first practiced by Shiva and Parvati but to realize God in its benevolent form. Since then the holy science became derogatory with passage of time because man’s mind became corrupt. It is now become synonymous with arousing energies to gain momentary gains. Electromagnetic waves or electricity travels in our body through very subtle carriers called nadis or nerve channels. The vital force or prana which is present in our body can be further acquired, disseminated and broadcasted through the transmitters or nerves from the ever present infinite Cosmic energy. The science of transmuting the Universal Force from the Cosmos for arousing the dormant energies in humans and expanding our present human consciousness to Cosmic Consciousness through the channels of transmitters or nadis is Tantra Yoga. It is an ancient science invented and developed by Lord Shiva, the Adi Guru in India in pre -Vedic times. In the holy scriptures of India, the pranic energy flowing within us is considered as feminine and depicted as Parvati or Mother Goddess and Shiva as Purush, Chetna or Cosmic Consciousness. So we have two types of forces within us -the feminine force which is gentle, moving yet soft and the other masculine which has more power and gravity. The feminine energy has creative powers while the masculine energy is robust and immutable. There is a special chapter and mention of Kundalini Shakti in Tantra Yoga called Kundalini Yoga. Adi Guru (first guru) Sadashiv Shankar Bhagwan or Lord Shiva through conjugal love transferred his own creative primordial energies to awaken his beloved consort Parvati and merely to speed up and revive her divine nature and give her atma darshan, or self realization. They both were recipients of divine bliss and Cosmic Consciousness. This is how Tantra Yoga originated in India to start with long, long time ago. When the pranic shakti, the life force is used for a very pious purpose and as a means to directly tap and connect to the one and only Universal Force, it serves a superior purpose. But in those days, man was pure and saatvik in nature, while today’s man is not as pure in mind and heart. His mind is putrefied and forever restless because of so many desires breeding inside. People use the primordial energy located at the base for basal instincts and not just as a tool for swift transformation and enlightenment with the will of God. There is a difference of approach in Kundalini Yoga when compared to Raja Yoga. In Tantra Yoga vital energy from muladhar is promptly lifted straight to sahasrar chakra after practicing yoga for a considerable time, while in Rajayoga the energy is roused from agya chakra to sahasrar chakra. The unprincipled practitioners practice Kundalini Yoga and wish to take a shortcut without considering the fact that the purification of the lower chakras is yet to be done. All the forces in the nature are first to be invoked, worshiped and at the behest of God be used for a specific purpose keeping its sanctity and piousness intact. What we see around us today in the name of Yoga like Tantra Yoga, Kundalini Yoga is much afar from reality and its pious purposes. Who should transmit and supply the power of awakening this dormant force? The awakening and transmission of Kundalini Shakti should only be initiated by an expert and a proficient Guru who also possess a very strong character. He should be generous, desireless and should transmit his own energies for the welfare of his disciples. It is only after the awakening of the Kundalini Shakti that the crown chakra, sahasrar chakra is tapped open and becomes functional for spiritual enlightenment. The main purpose of awakening the primordial force called Kundalini Shakti in shastras is opening the crown chakra and the rest of the benefits come as by products. Why is this force dormant? When Brahma (Spirit) becomes jeeeva (individual soul), the divine force first enters the physical body through an opening or aperture in the forehead at the midpoint between the two eyebrows called bhrikuti in Sanskrit or kutastha in yoga and spreads in all the parts of the body after that. That explains why this is the place of concentration and meditation. Some part of the remaining stream of this primal force accumulates at the navel for future course of action about which the human being is obviously not aware of. When the shakti is established, the soul is conscious of it as well as of his own identity with divinity and remembers it for quite a long time. This information of shakti instating in him is stored in the memory of humans called smriti. Our mind is like a recorder, a CD which records everything. Smriti is memory, the faculty in the brain where all life experiences, feelings and perceptions are recorded. There is a centre in the human brain where the images, feelings and memories of all past lives are recorded and stored. All the sensory perceptions, feelings, emotions are condensed, crystallized in memory. This becomes man’s consciousness from which he operates. And thus starts the beginning of man’s long journey of evolution with incarnations and innumerable lives ahead of him. As man creates countless new karmas and also reaps the fruit or consequences of his actions, with passage of time and lapse of memory, he slowly forgets his true nature of divinity from the mind by losing track. And as he bears the consequences of new karmas, the tendencies or sanskaras or remnants of those karmas are imprinted in his or her mind. And man gets so involved in maya by becoming indulgent and falls by being a victim of vices like ego, jealousy, anger, hatred, selfishness, infidelity, lust, greed etc. Many wrongdoings or sins are produced in him because of which he moves far from truthfulness, honesty, sincerity, compassion, goodness, devotion, faith, kindness, satisfaction, love and other such great virtues. The complete forgetting of God’s presence and light in oneself is called vismriti. It is forgetfulness, total forgetfulness. After living many incarnations, during some life the man transforms and asks himself who is he? What should he be doing? Am I doing the right thing? With these thoughts he begins to change to become positive in attitude by repenting and he starts doing many types of sadhana , means of attaining by improving his sanskaras , imprints of tendencies of past karmas to purify himself. When he does tapas, penance with God’s mercy he finds a true omnipresent guru who shows him the right direction to self realization and after purifying him from the sludge of the unwanted karmic tendencies, the Guru prepares him for realizing who is he and what is God. God realization is not easy as man is prone to slip and has an unpredictable nature. To avoid such a situation, the Guru while taking several precautions, hastens the whole process of complete transformation, makes use of that hidden, unknown and dormant power already buried right at the inception for so very long , lying unused at the lower region of the body called Kundalin Shakti. The same power is used as a dynamo to accelerate the transformation process in us by first opening the crown chakra at the upper head which is the receiving station of divine rays and illumination. Once this is opened, the rest of the refinement of the soul goes on slowly and steadily with time. And then for the sadhak, a stage is arrived on advancement little later on with God and Guru’s compassion, when the mind never becomes deluded in Maya anymore, because the soul remembers God so convincingly, vehemently and consciously. It does so by repeatedly meditating on Him, remembering Him in all the ways that are possible. By this time the soul does not ever forget at all that the real power in him and this world is of God. His ego dissolves completely in presence of Divine Light and purity. Therefore, he does not perform actions which are detrimental in nature and prefers to dive in divine bliss instead of fleeting pleasures of impermanent physical world. This is what is meant by Self Realization! Many a times the devoted disciple is not even aware of the awakening of Kundalini Shakti in him while the compassionate Guru does his job silently. Ramakrishna Paramhansa of Dakshineshwar was in samadhi or continued divine bliss for a long time being unaware of his own blissful state. It was later on when a female saint, a bhairavi, a tantra practitioner announced to the troubling crowd there not to harass him as he was not a mad man but a great yogi in ecstatic bliss!! With only Guru’s will and grace, activation of sahasrar chakra by rousing Kundalini Shakti should be initiated and not by one’s own whim or fancy for supernatural powers or siddhis. Kundalini Shakti is a feminine energy, a soft and supple energy for some specific purposes for human development and spiritual enhancement. It should not be abused or misused for petty gains or for satisfying one’s passions or greed. You are currently browsing the Spirit in life blog archives for February, 2010.